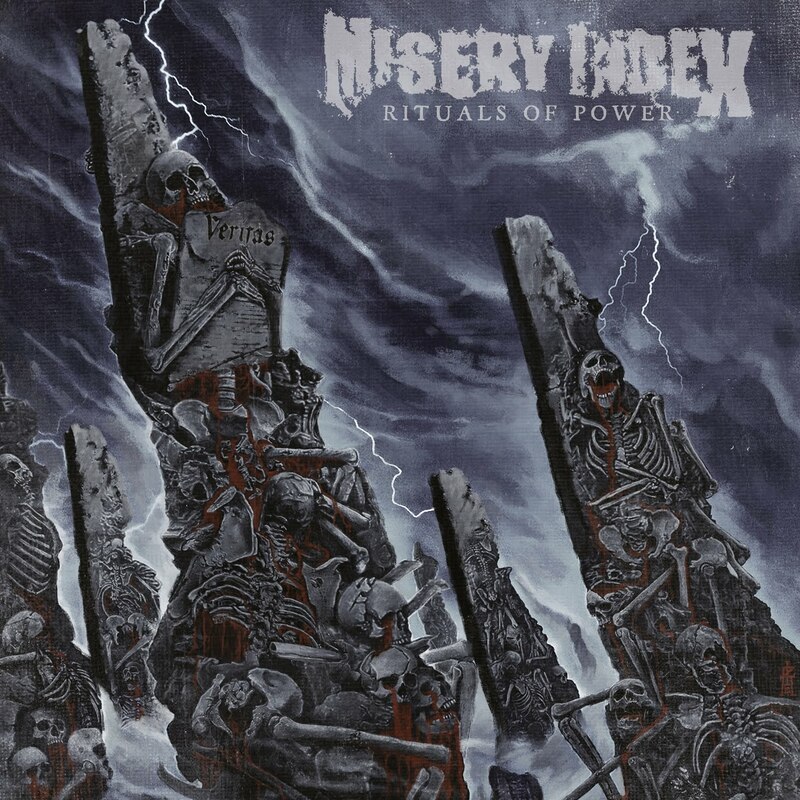 It's been five long years since we've had the last Misery Index record. They're a band who rapidly jumped to the top of the death metal charts with their breakneck brand of bone bashing riffage. Every record from the band is a clear progression, a step up and a statement as to what has made them great for so long. Now they are back with their long awaited sixth full length and though we've had a few singles to tide us over, there's nothing quite like hearing another punch in the guy masterwork from some of the greatest to ever turn it up loud. Perfectly blending the disparate elements that make this band great, the death metal, the grindcore, even touches of thrash, Rituals Of Power deals in burly riffs and crazed rhythms. Of particular note is Adam Jarvis whose hard hitting assault is illuminated as always. All in all though this band is more than just another staid death metal act, they are a full on aural assault speaking to the unrelenting power of this music and the way that death metal has always been able to adapt and reach new heights, despite playing on the same tropes for over thirty years. This is an addictive listen to say the least and one that shows Misery Index haven't skipped a beat. Misery Index may have taken their time in crafting this one, but they seem to have been able to drive this particular offering into bold new heights. Rituals Of Power is an album that delves into the spirit of death metal and re-emerges with its still beating heart. The bands full out assault is on display here and they come out blasting not with arrogance but instead a well deserved sense of swagger. Confident, exciting and guaranteed to get your fist pumping, Rituals Of Power is an early contender of death metal album of the year.